All SILVER FORK homes currently listed for sale in Salt Lake City as of 04/25/2019 are shown below. You can change the search criteria at any time by pressing the 'Change Search' button below. "FINALLY a stylish new offering in BCC that has EVERYTHING! A gorgeous and handsome custom build boasting all the creature comforts one expects in a luxury mountain home. 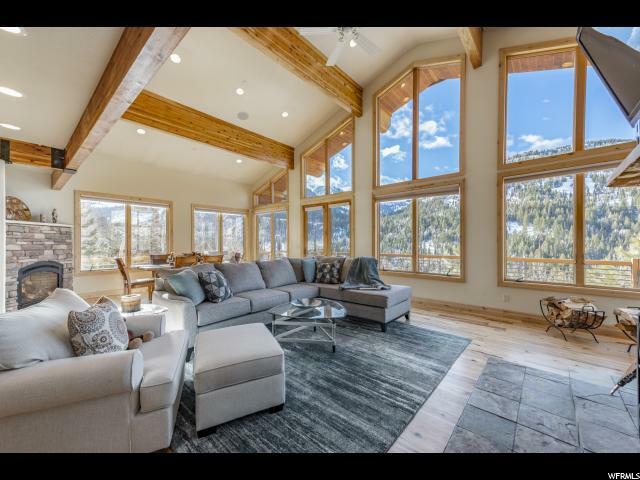 Situated high on the sunny bench of Silver Fork overlooking SOLITUDE RESORT, you will WOW your friends and guests with stunning views & grand open spaces. Entertain those you love in comfort with high ceilings, bright windows, & show-stopping 400 square foot cantilevered deck on top of the world! 4 cozy stone fireplaces (3 gas 1 wood), warm natural woods & flooring throughout, a charming wet-bar, coveted oversized garage, unique master suite with huge jacuzzi tub and walk-in shower...PLUS a full size accessory care-taker apartment for guests or loved ones on an extended stay:) Year round access, close proximity to Brighton/Solitude Resorts plus all utilities connected, reliable and great tasting Silverfork water ... this one checks all the boxes...You deserve a place like this! "